Nearly half of everything that is thrown away is considered organic waste (yard waste and food scraps). 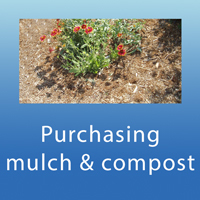 Composting and mulch mowing are great ways to dispose of organic materials-- they basically replicate and speed up the natural decomposition process. Best of all, your lawn and garden will benefit! All City of Casper extra collection days in the month of November are reserved for bagged leaves only. Only bagged leaves can be placed out on leaf collection days and the bags must be securely tied closed (no limit to number). Leaves need to be free of trash. All bagged leaves are taken to the compost yard in the month of November.